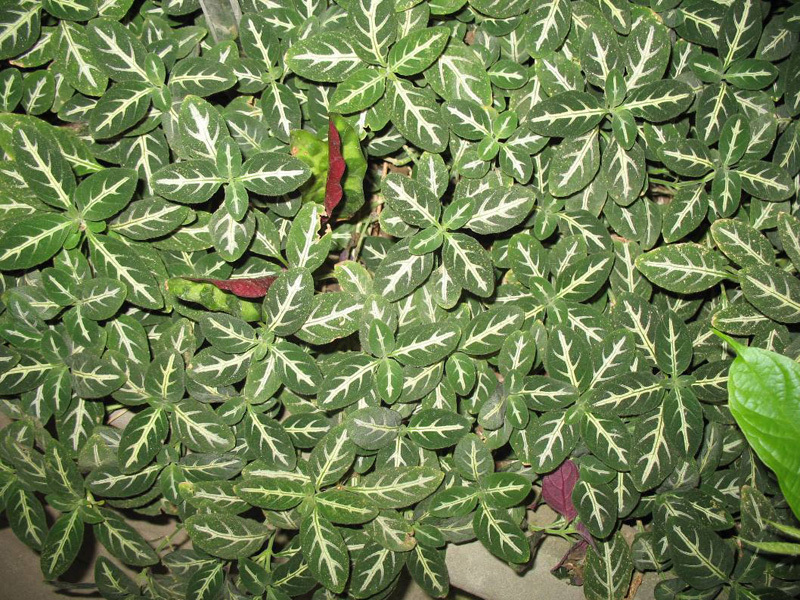 Comments: Attractive leaves in which the upper side is green with silvery white along veins and underside purple. In spring and summer it has lavender flowers tinged withb white. In the USA this plant only grow outside in southern most Florida and in Hawaiie it can be useed as a groung cover. It makes an attrative container where it warm at all times.